Script writers this week in Year 7 & 8 have been busy at work in creating ideas for script to be included in the Senior Production. Many ideas have been banded about with plenty of collaboration and excitement. 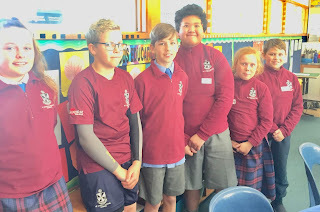 The Year 8 scriptwriters as a group visited senior classes in generating ideas in weaving ideas across classrooms into the script. Characters are coming into life. A job well done script writers. Families are encouraged claim back your 2018 school donation. SchoolRebates.co.nz is a Kiwi company that helps parents easily claim back school donations. Reporting to Parents Policy Review. St Joseph' s Policy on Reporting to Parents is now available to be reviewed. 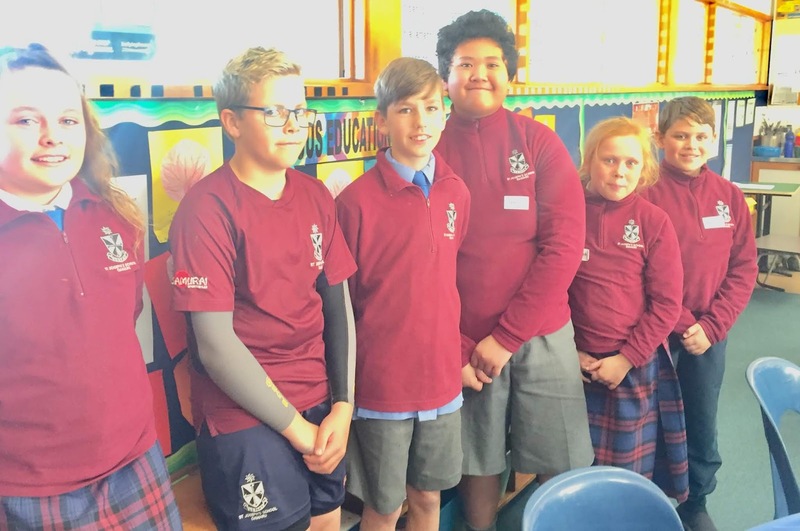 Please click on the following link http://stjosephsoamaru.schooldocs.co.nz/ and log on using username stjosephsoamaru and password veritas. Then click on the second green tab labelled Current Review at the top of the page. There are instructions here on how to review a policy. Please review our Reporting to Parents policy and review as a parent from the drop down menu after clicking on the red tab labelled 'Under Review Term 2 2018'.